Recessed area for holding utensils, etc. Fits standard 2 button release folding walkers--note measurements. 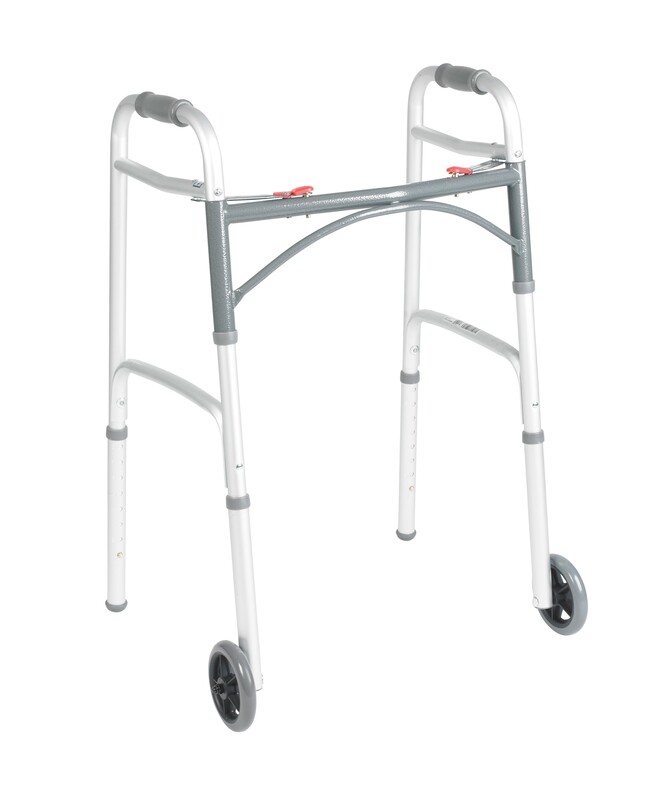 Does not fit bariatric, juvenile/junior, extra wide, paddle release or single button release (high bar) walkers.